As always, I’m sharing a video tutorial. You can watch it here or on my Youtube channel. Enjoy! I made three almost identical cards using the same supplies, the only difference is in the color of cardstock and the placement of the elements. 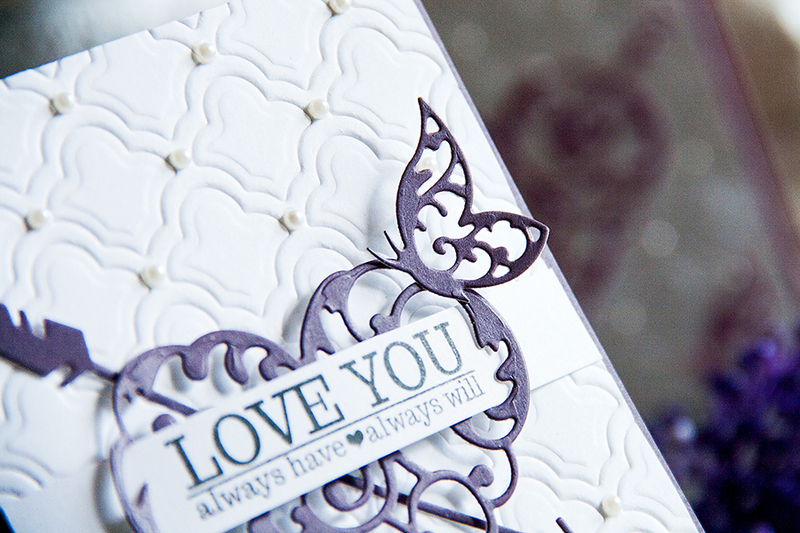 To create a background I used the Grateful Lattice Expandable Pattern die from Spellbinders (all supplies are linked at the bottom of this post). I didn’t cut it, but used it to create an embossed background on my card. 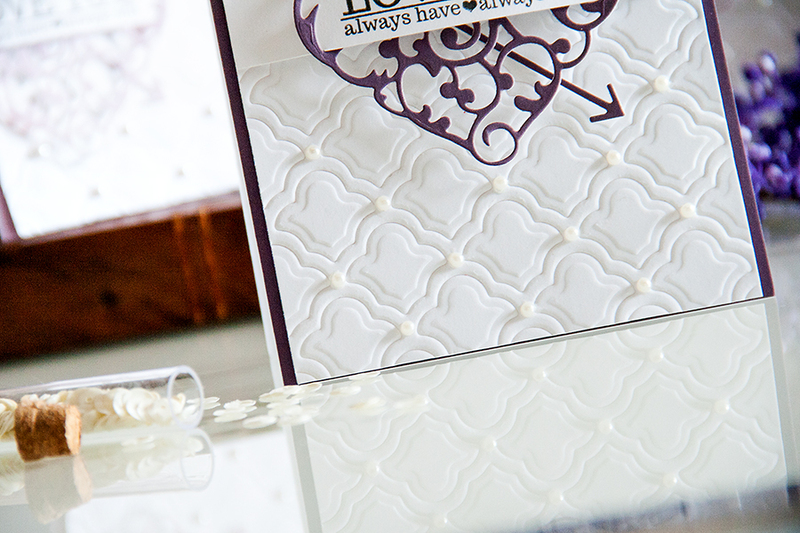 I also embellished this embossing by using small self adhesive pearls. 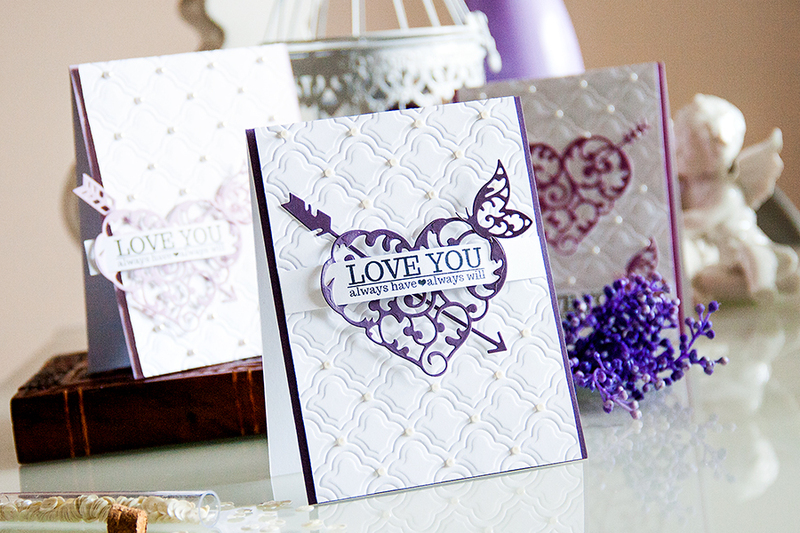 I used the Heart & Flutter to die cut the heart and the little butterfly. I also added an arrow from the Shoot! set going across the heart for a little extra something. 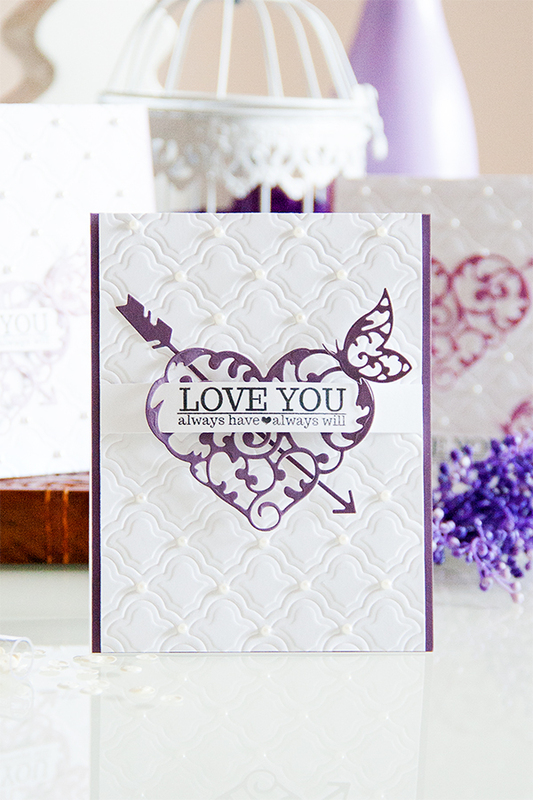 Finally I stamped the Love You – Always Have – Always Will using Lots of Love stamp set from Avery Elle and black ink. This post was updated on July 24th 2016. The die is so prettty and the overall card is perfect for Valentine’s Day. Thank you, Darlyne! So glad you like it! I love this card it’s beautiful! Beautiful! I love how you did the sentiment banner and the arrow! Thank you, Jamie! That sentiment fit there perfectly!